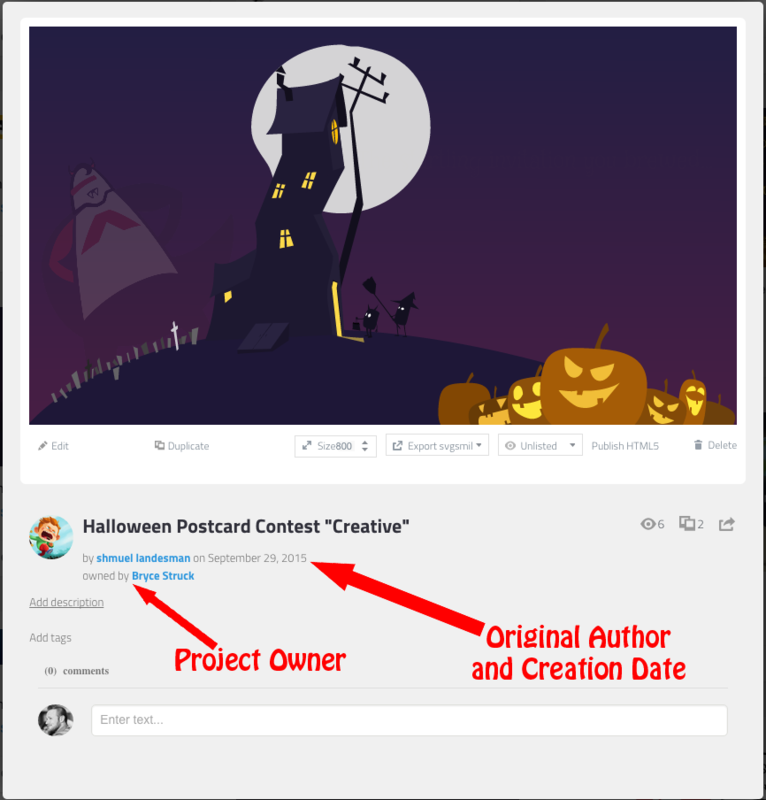 The "Original Author" refers to the first person to have created the Project you are viewing or working on. If a Project has been shared with you, and you continue to edit and/or change it in any way, this Project will always credit the very first person that created it, as the Original Author. If you have duplicated the Project or continue to work on a Project that has been shared with you, you are now considered the Owner of this Project, since this new, duplicate version, is only accessible from your very own Account Gallery.